IMPORTANT NOTICE REGARDING GARMIN BASECAMP! 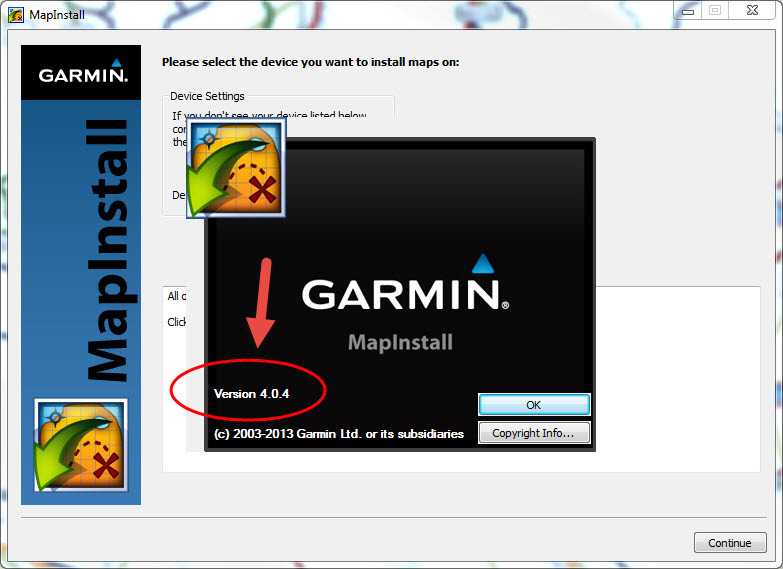 Windows users, do NOT Update to Garmin BaseCamp version 4.7.0 and MapInstall version 4.2.0! Mac Users are not effected. Our maps utilize Garmin BaseCamp/MapInstall to load maps onto the GPS device. The current version of BaseCamp 4.7.0 released May 23, 2018 has a bug in the embedded MapInstall program version 4.2.0. If after uninstalling your Garmin software, you still have MapInstall version 4.2.0 go to C:\Program Files (x86)\Garmin\MapInstall\ folder - then delete all the content of the folder but not of subfolders. Especially leave the "Maps" subfolder. In BaseCamp, launch MapInstall by clicking Maps -> Install Maps. Position the mouse inside the MapInstall title bar and right-click. Select "About MapInstall". 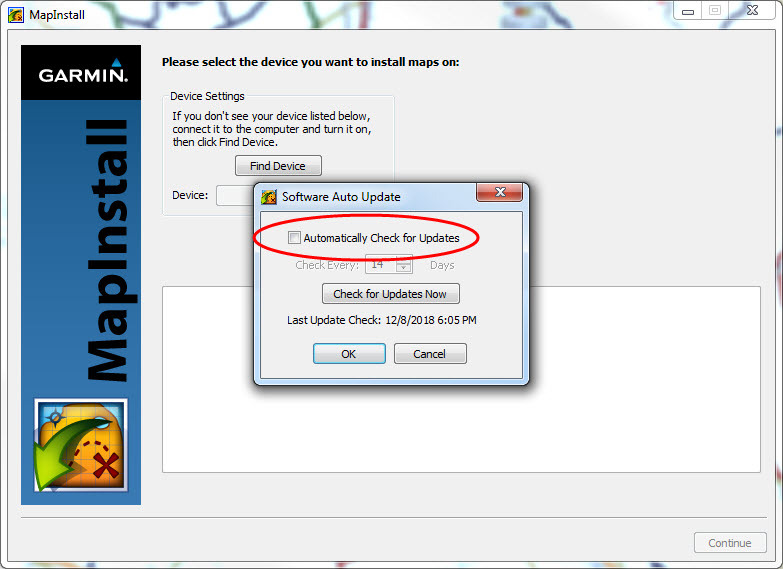 Next, disable the MapInstall program from checking for updates in the future. 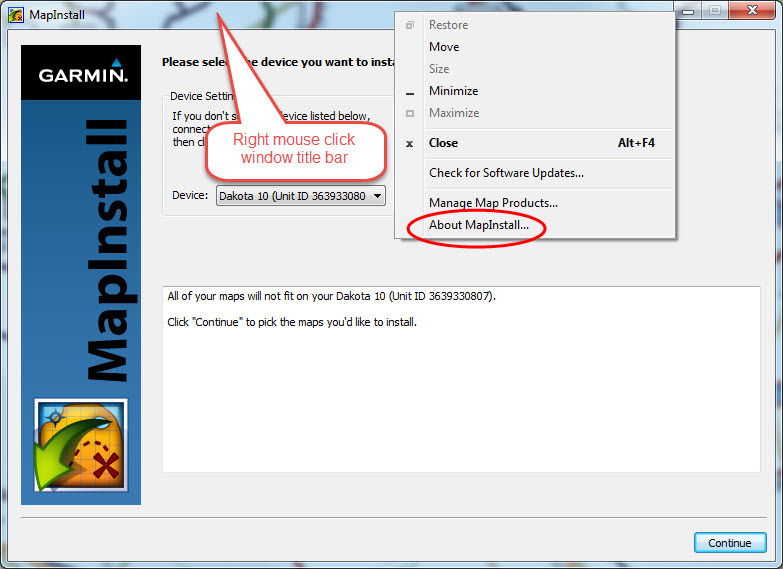 Again, position your mouse in the MapInstall title bar and right-click. Select "Check for Software Updates". In the popup dialog, remove the check mark from the "Automatically Check for Updates". NOTE: this will not disable the auto update dialog for the BaseCamp program, just the embedded MapInstall program.